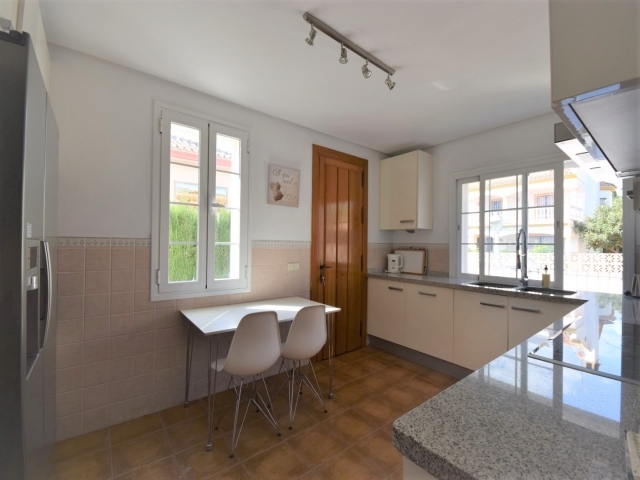 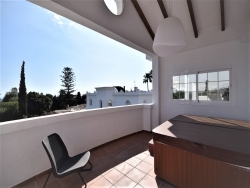 Bright and modern four bedroom villa for sale in a highly convenient location, just a few minutes´ walk to the centre of San Pedro. 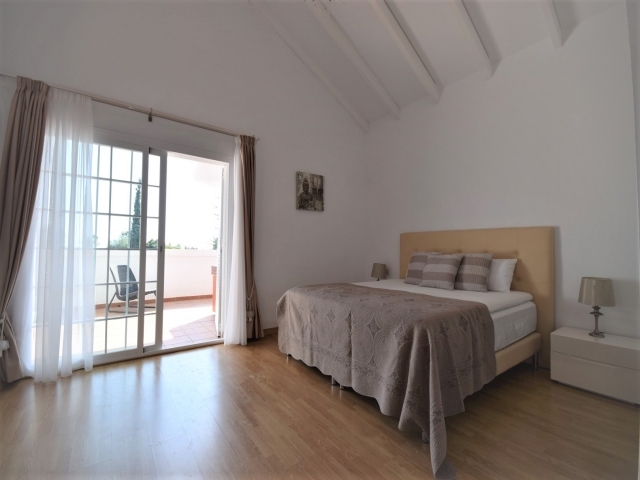 An up-and-coming area on the Spanish coast, San Pedro offers a great selection of bars and restaurants as well sporting facilities and lovely beaches. 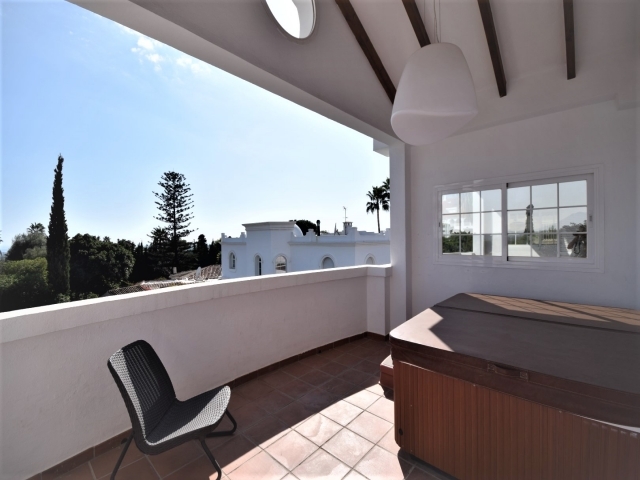 The ground floor comprises of a spacious living area with direct terrace access, a well-appointed kitchen, guest WC and a bedroom which could also be used as a study. 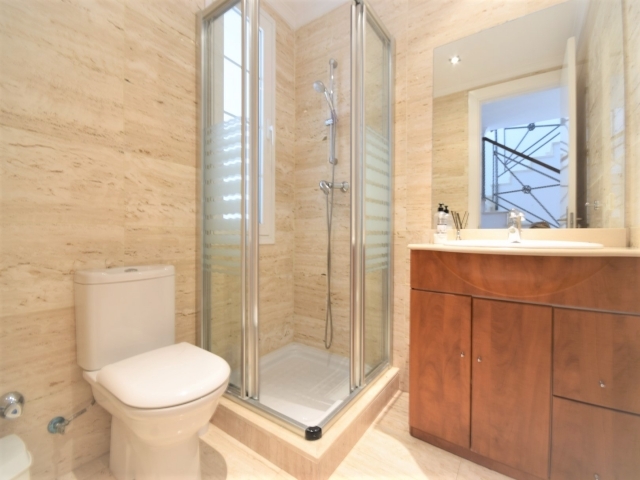 On the first floor you will find an impressive master suite, boasting a private terrace and Jacuzzi, and two guest bedrooms, both with en-suite bathrooms. The basement level offers a garage with space for up to three cars as well as a large laundry and storage room. 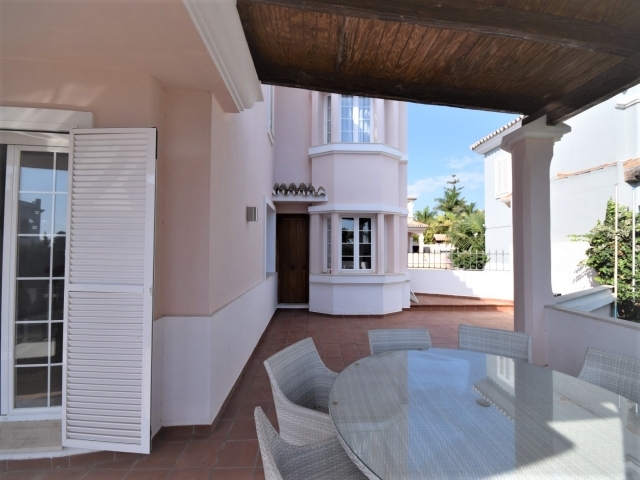 There is ample terrace space and a lovely private garden and swimming pool; the perfect spot to relax and soak up the sun. 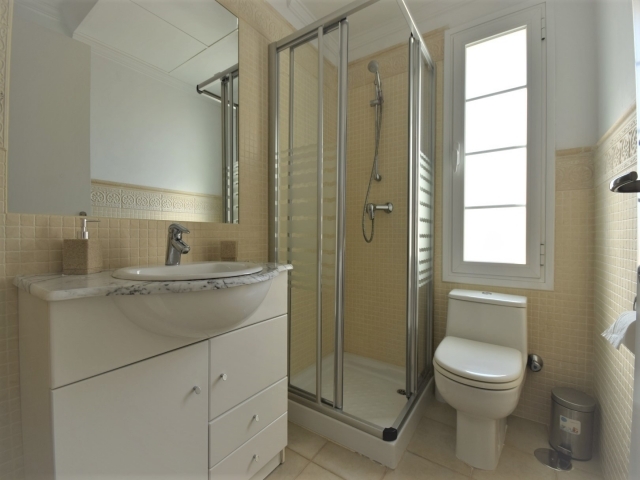 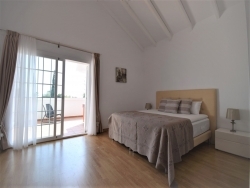 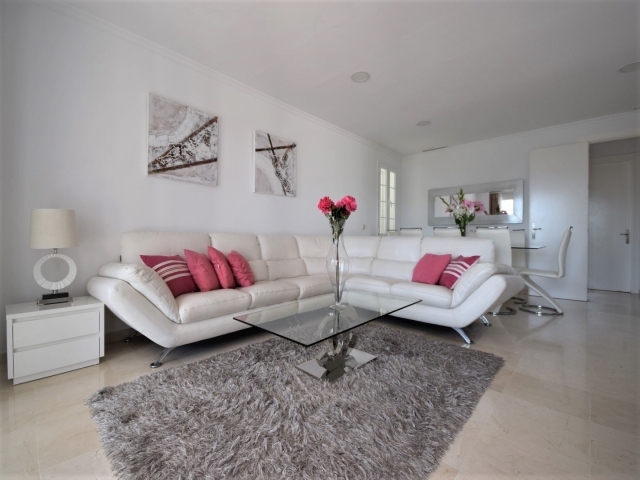 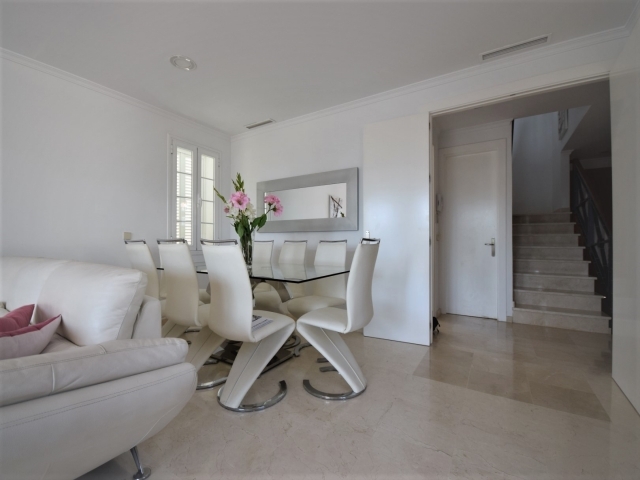 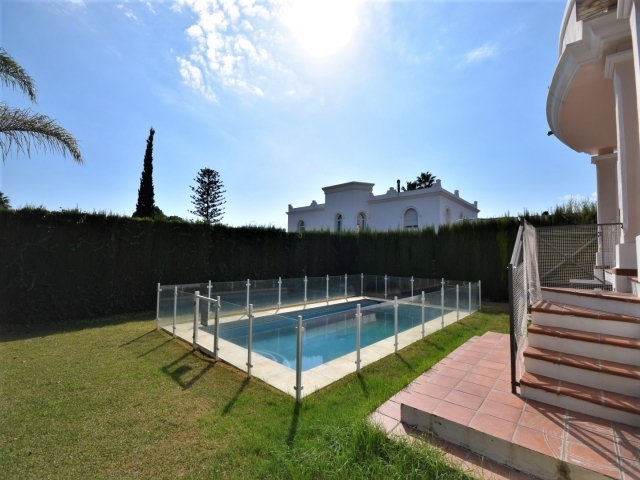 Situated just a short drive to Marbella and Puerto Banus, as well as the Nueva Andalucia Golf Valley, the location is ideal for families looking for a permanent residence or a holiday home; it also offers excellent rental potential.